To serve God by helping our clients create beautiful and sustainable environments, while we create opportunities for our associates and business partners..
Our lawn care services are designed to bring out the best in your lawn. We can help your lawn look its best. 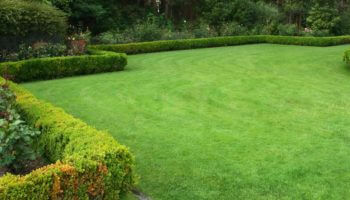 We then visit your property and evaluate your lawn to determine the best program for your budget and needs. If you need a new irrigation system installed or if you need help troubleshooting or repairing your current system we have the expert help you need. We will help guide you through the process of deciding what system will be the best fit for you. The health of your trees and shrubs is our #1 priority. Whether you need help with your existing trees and shrubbery or you are looking to add to your current landscape we are here to help you make your landscape look its best. Pruning not only keeps your trees and shrubs healthier and better looking, but protects them from disease and structural problems later on. Let us increase the value of your home by keeping your trees looking great! Lawn, Tree & Shrub Questions? Ask the Doctor! Our resident agronomist, Dr. Rodney has the answers you are looking for about the health of your lawn & landscape. Want more lawn & landscape help? Download a FREE guide! You can learn for yourself what will be the best fit for your lawn and landscape needs. Help your lawn come out of hibernation and greet the world lush and green with the help of our free guide! You can create the lawn of your dreams if you grow your grass from seed — you just need to know how to best care for it. The ash borer threat is real. If you have ash trees on your property, you could be at risk. This book will tell you how to protect your trees. Ready to Call the Pros? Get the lawn of your dreams! Contact us for your FREE estimate.